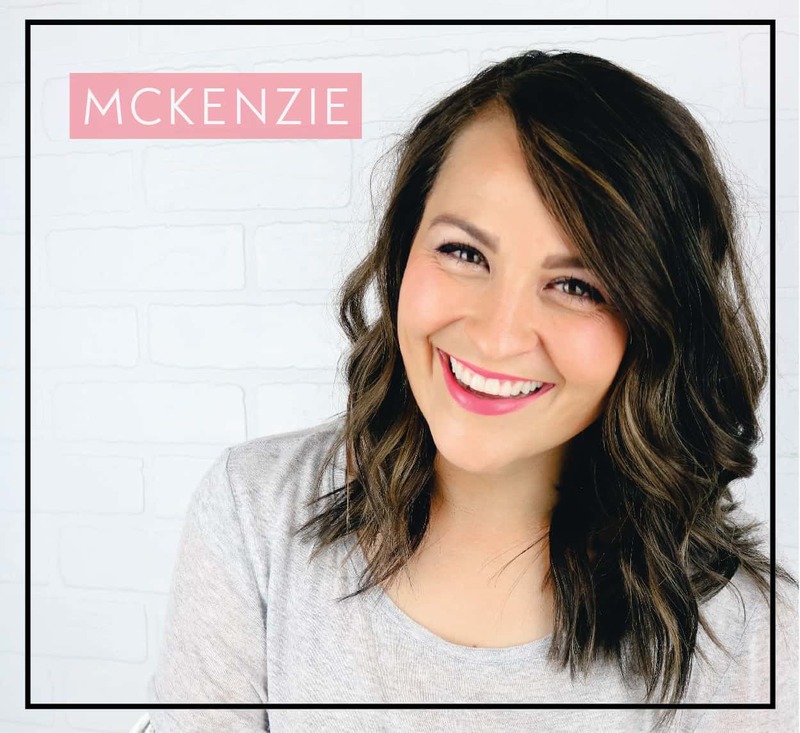 You can watch my video where I demo both of my preferred methods and scroll down for links to everything you need to wash your makeup brushes and beauty blenders! 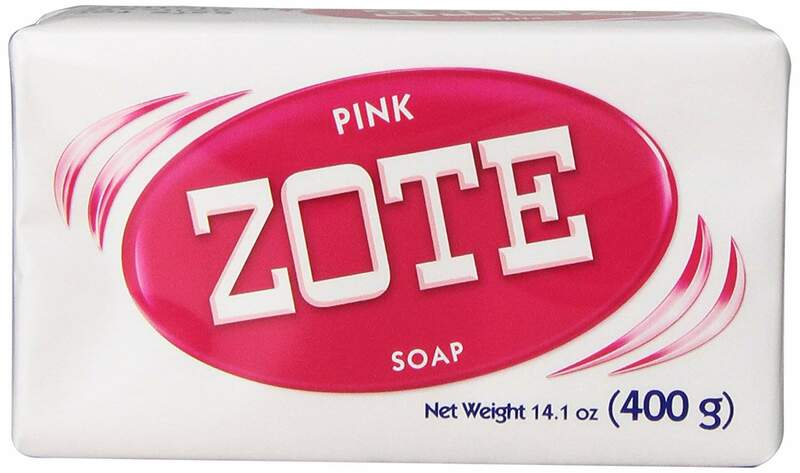 The laundry soap bar that I really like to use is called Zote. I love how inexpensive it is! It seriously works wonders, too. 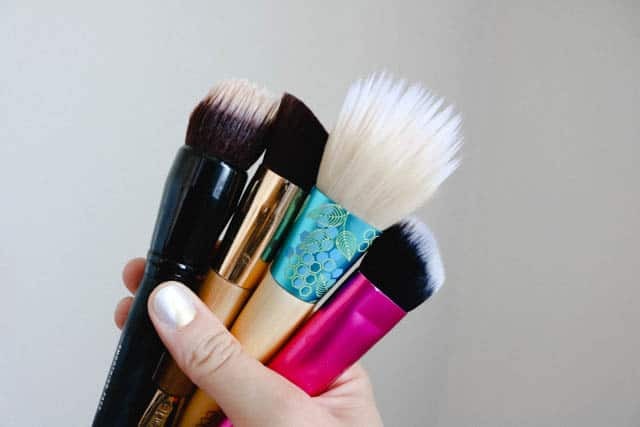 I know that is a common favorite for many people when it comes to cleaning makeup brushes and beauty blenders. You can buy it in a 4 pack on Amazon or grab it at Walmart in the laundry soap section. You can also grab a really inexpensive Brush Egg on Amazon as well! I really love using a brush egg because I feel like it can scrub your brushes a little better than just your fingers alone. The homemade makeup brush cleaner was something I came up with by mistake. 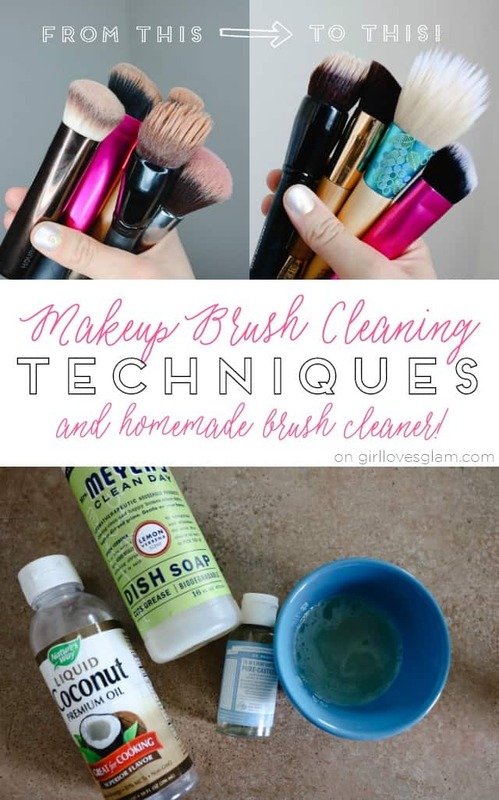 I have read a lot of blogs over the years that have talked about their favorite makeup brush cleaning concoctions and I would try them, but I never really liked one that I totally loved. I tried playing around with a few different ingredients that I liked from each of them, until I found one that I loved! 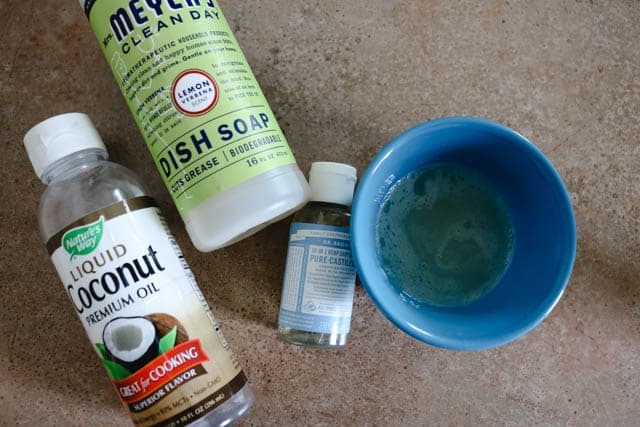 I use liquid coconut oil, gentle dish soap, and pure castile soap. Instead of the castile soap, you can use shampoo instead. I like to make this in smaller batches and make it as I need more, so I am not wasting any of it. I typically mix about 2 tablespoons of coconut oil, about 4-5 tablespoons of dish soap, and about 3-4 tablespoons of pure castile soap. I mix them together with my finger until the mixture is kind of frothy. Dip the brush or beauty blender into the cleaner and scrub it. Rinse it with water and dip again if needed. Keep repeating this process until you have gotten all of the makeup and soap out of your brush. When you dry the brushes, roll up a towel and have the brushes lay with the brush down. This will keep the water from getting to the glue that is holding the brush together. If water gets too far into your brushes, it can damage them and even completely destroy them. to gorgeous! 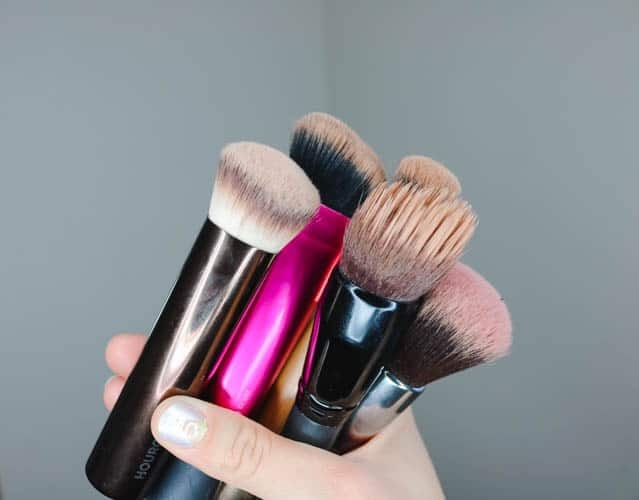 It can drastically cut down on the amount of breakouts that your skin suffers from and your makeup will be easier to apply when you are using clean makeup brushes. 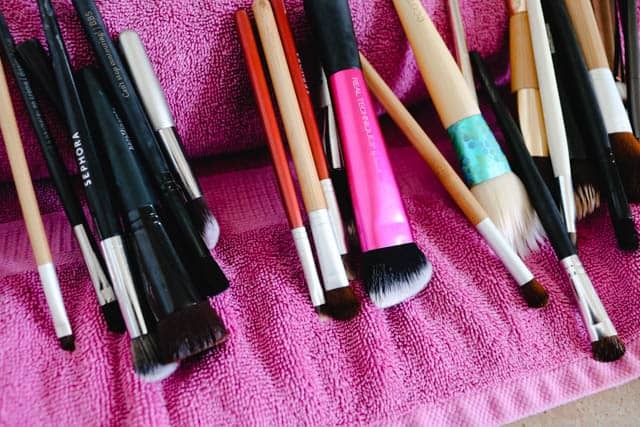 How often are you currently cleaning your makeup brushes? 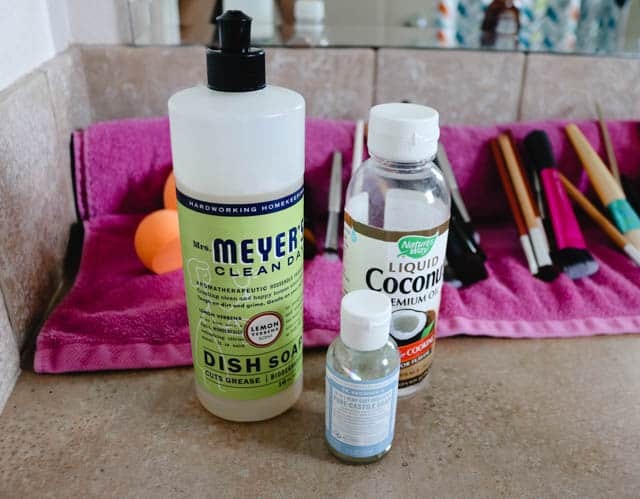 Just FYI, you don’t even need the dish soap, and coconut oil, at all! The Castile soap does a perfect job all by itself. I’m a licensed Esthetician, and use my makeup brushes all the time, and I clean them by putting the Castile soap into a small bowl, dip the brushes into it, and use a Sigmas brush mat to clean them on. Rinse, blot, and lay flat to dry. End up perfect every time!